On May 1, 1960, CIA employee Gary Powers was flying a reconnaissance mission over the Soviet Union when his high flying top secret U-2 spyplane was shot down by an SA-2 surface to air missile. In the days before satellite imagery the only way for the US to know what the Soviets were up to was by flying U-2’s over their country. The Lockheed U-2 was designed by legendary airplane designer Clarence “Kelly” Johnson. Johnson had designed the World War II fighter, the P-38 Lightning and later designed America’s first practical jet fighter, the Lockheed P-80 Shooting Star. He also designed the Mach 2 Lockheed F-104 Starfighter (known as “The Missile With The Man In It”) and then the SR-71 Blackbird, the fastest air breathing jet ever built (that we know of). Powers actually was supposed to kill himself to avoid capture and had a hidden syringe containing deadly poison in a hollowed out silver dollar. The US tried to cover up the incident by claiming they had lost a NASA jet over Turkey when the pilot apparently fell asleep, giving that excuse for the plane being over the USSR. The Soviets blasted the US with Cold War rhetoric and the incident was embarrassing for the US and President Eisenhower. Powers was tried as a spy and sentenced to 3 years in prison and an additional 7 years of hard labor, and in the Soviet Union, hard labor was hard indeed. 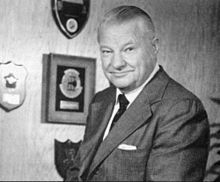 In 1962 the US managed to work a deal with the USSR to trade a spy that we caught (Rudolph Abel) for Powers and the deal was done. Exact details of the incident are at issue, with some reports saying Powers was shot down because he fell asleep and his jet flew too low, and others claiming 14 SA-2’s were fired at the U-2. One Soviet pilot claimed he caused Powers to crash by flying by the U-2 and causing violent air turbulence to break off the long and delicate wings of the spy plane. Do not try to ask Powers, he died in 1977 when his news helicopter crashed in California. The SR-71 Blackbird reputedly also made recon flights over the Soviet Union, and the US claims none of them was ever shot down. Of course, as soon as technology permitted, both sides began using photo satellites and then later a television type satellite that provided real time imagery (like you see in the movies today). The U-2 incident derailed an attempt to warm relations between the Soviets and Americans and left President Eisenhower a bad note to leave on in his last year in office. On the other hand, the rock group U2 sounds suspiciously familiar! Gentry, Curt and Francis Gary Powers. Operation Overflight: A Memoir of the U-2 Incident. Potomac Books, 2003.